Following my recent post about what’s on my iPhone home screen at the beginning of 2016, I decided to do the same for my must-have Mac apps. I consider these apps requirements when setting up any new machine — essentially, I feel that I need them to use the computer effectively. Hopefully this will give others who are looking for new or useful apps some ideas. Strong passwords, of course, are key to protecting yourself online. You should use a different, complex password for every important account. This can be hard, though, if you’re trying to store all this info on your head. With a password manager like 1Password, you can remember just one strong password, which you use to open the app. Then you can automatically generate ridiculously strong passwords for every account you have within the app, and access those on the fly, no matter which device you’re using. 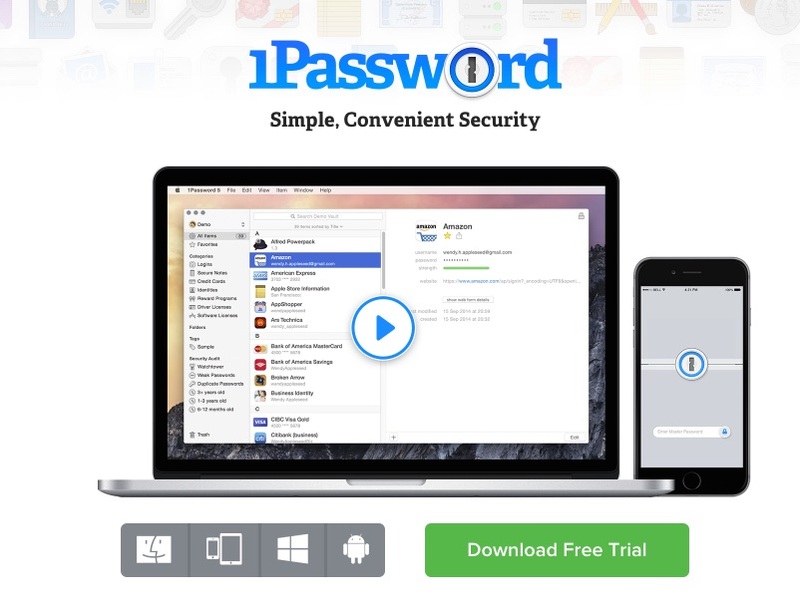 Cost: 1Password for Mac is $49.99; for the iPhone it’s $9.99. For more: Here’s The Sweet Setup on why you need a password manager, and why 1Password is the best solution. #Protips: 5 suggestions for advanced 1Password users. Dropbox — Confession time: I once ruined a one-month-old MacBook Air by spilling a full bottle of Stella Artois beer directly on the keyboard. It’s a long story. But, BUT! I had saved all of my important documents, images and other files in Dropbox, so I lost nothing — except money and my pride, that is. Dropbox lets you stores your files in the cloud, so that they’re accessible on various devices. For example, I’ve long kept many of my basic lists in plain text files, and use Dropbox to keep them synced across my Mac, my iPhone, and my work machine. Cost: Free for up to 2 GB. 1TB plans starting at $9.99/month. For more: Dozens of uses for Dropbox. 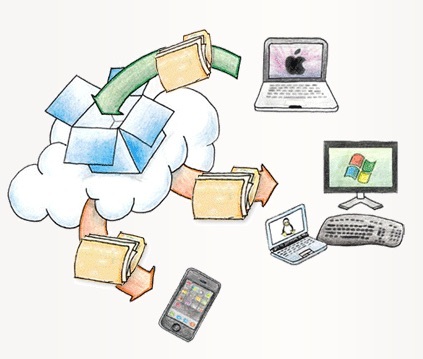 #Protips: 10 advanced Dropbox tips. 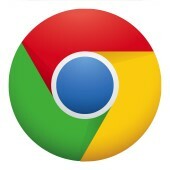 Chrome for Mac — I was a loyal users of Apple’s browser, Safari, for many years. But a while back I switched over to Chrome, which, in my experience, is faster and more reliable, even though Safari looks prettier and is obviously built for the Mac. One caveat: Some say Chrome is more resource-intensive than Safari, meaning it will drain your battery faster. For more: Here’s an overview of Chrome’s features. #Protips: Here are some good extensions (Chrome add-ons) to consider. TextExpander — this app, which I’ve been using for many years, lets you use abbreviations for frequently used bits of text. For example, if I type “eemail,” the app will instantly insert my personal email address. If I type “eeemail,” it will insert my work email. If I type “ddate,” it will insert “February 8, 2016,” etc. I also have so-called snippets set up for my home and office addresses, various email signatures, and much more. It’s the kind of tool that is totally indespensible. For more: This YouTube video shows how TextExpander works. #Protips: Here are some advanced tips for using the app. 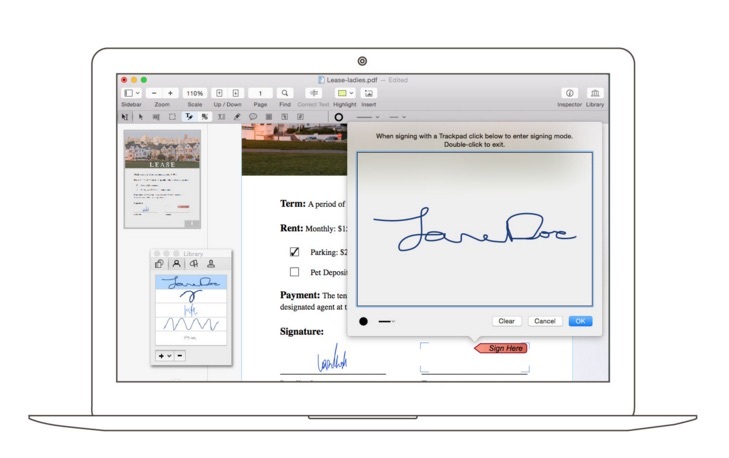 PDFpen — let’s get this out of the way: at $74.95, this is not a cheap app. But the ability to manipulate PDFs by typing and writing on, and signing them, is nearly magical, and makes the app well worth the price. I’ve used PDFPen, which is made by the same folks behind TextExpander, to fill out and send back any number of forms, applications and the like. Forget about printing out and manipulating physical documents — you can do it all digitally with PDF Pen. For more: Here’s a video of PDFpen in action. #Protips: The Sweet Setup has an in-depth look at PDFpen, which is calls the best PDF app for the Mac. Evernote — Somewhat sadly, I hardly ever use what had been my go-to writing app since 2007: Scrivener. I used Scrivener to write my graduate school thesis, composed hundreds of stories on it, and even used it to tackle Nanowrimo many moons ago. So I’ve increasingly been using Evernote — it’s designed not as a word processor, but as a catch-all for tons of different digital material, from text and images to audio and more. But you can certainly use it for writing. Cost: free for the basic version; a premium account is $57.98 per year. For more: Here’s a guide to using Evernote notebooks to store text. #Protips: Writer Nicholas Carlson on how he used Evernote to write a book. Tweetdeck — the best way to access Twitter on your Mac. I have several columns set up so that I can access my various Twitter lists — accounts I don’t want to miss, fellow WSJ folks, notifications when people respond to or like my tweets or stories, and more. Note that Twitter recently released a new version of its Mac app, but I’m sticking with Tweetdeck for now. For more: Gizmodo has some Tweetdeck tips and tricks. 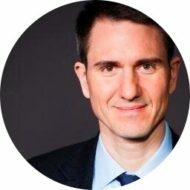 #Protips: Quartz’s Zach Seward on how he uses Tweetdeck. The ticker-tape analogy is an excellent one. Rdio was my streaming music choice for several years, but when it shut down last year, I switched to Spotify. I like it a lot — especially the excellent Discover Weekly feature, in which the service automatically generates a playlist of new music for you based on your listening habits. 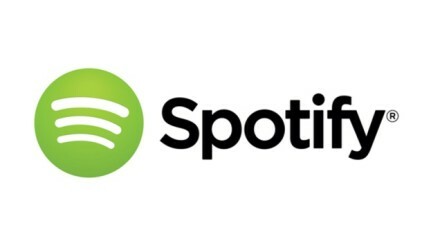 I mostly use Spotify on my iPhone, but the app also works well on the Mac. Cost: free for basic version, $10 per month for premium. #Protips: …and some more advanced ones from Buzzfeed. Caffeine — this tiny little app does one thing and does it well: it keeps your Mac from going to sleep. The app lives in your menu bar, and you can simply click it to keep your machine awake if you’ll be away from it from an extended amount of time, or don’t wait it to dim or go to sleep when you’re watching a movie, for example. For more and #Protips: that’s all you need to know — it simply keeps your Mac awake! 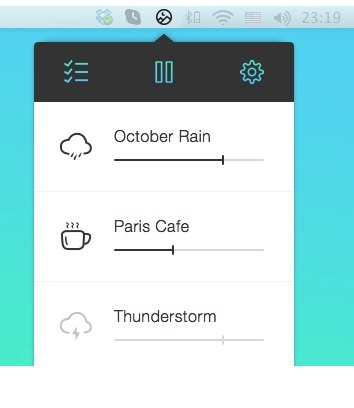 Noizio — like Caffeine, this is a small app that lives in your menu bar and has a singular task: to provide background noise. If I’m being distracted by various sounds when I’m working on my Mac, I simply throw my headphones on and choose one of Noizio’s ambient sounds — I especially like “Paris Cafe” — and work away. For more and #Protips: that’s all you need to know — it simply provides background noise!